Movies exist to tell stories. Through writing, performance, sound, and photography, they share with us worlds and visions that help us interpret the real world outside of the theatre doors. So what are the best films made about our lives as photographers? I’m a film buff. Plain and simple. Living and growing up here in La La Land, cinema has always been my first love. Ironically, it was my passion for the moving image the eventually lead to my career in stills. Yet, there are still few things on Earth I enjoy more than sitting in a darkened room watching a great story unfold at 24 frames per second. So, as I giddily await my annual visit to the Turner Classic Movies Film Festival opening this weekend in LA, I began to think about the intersection of my dual passions. Not only cinematic achievement derived from great photography, but those great stories told about the men and women behind the viewfinder. And because I firmly feel that cinema’s greatest purpose is to enlighten us to the world around us, and allow us to live for a moment within the bounds of someone else’s experience, I wanted to focus on a few great examples of the films that tell our story. The story of the photographer. Now, before I start, I few quick caveats. One, while the sheer number of movies I have seen would make most casual fans think me bordering on something close to insanity, even I will admit that I have not seen every film ever made. So apologies in advance if I’ve missed your favorite film of all time, and I encourage you to add it, along with your explanation of why it should make the list, in the comments section below. Two, to keep the list manageable, I’m focusing on films with photographers as their central character. So while Apocalypse Now, for example, is undoubtedly a great film and does contain a photographer character (Dennis Hopper as the photojournalist), it is not ostensibly about a photographer, and hence did not make the list. Nor, is this a list of the greatest cinematography, although that would also be an interesting discussion to have. Perhaps on another day. So, without further to do, here is a list of some of the greatest films ever made concerning our beloved art form, and a bit of what I take away from each that can help us all rack focus on our own lives. Well, that was an easy choice. Alfred Hitchcock’s classic thriller starring James Stewart as a wheelchair-bound photographer who may or may not have been a witness to a murder is not only one of the greatest films ever made about a photographer, it is also one of the greatest films ever made period. Illustrating to great effect the voyeuristic nature of filmmaking, the film allows us to question both what we have seen as well as the inherent danger of having seen it. Bonus points for being the only film I’ve ever seen in a theatre that literally drew a spontaneous audible gasp from every male member of the audience upon the arrival of it’s leading lady, Grace Kelly. I’ll get my slightly cheating pick out of the way early. Krzysztof Kieslowski’s "Camera Buff" is technically about a motion photographer, rather than a still one, but the brilliance of this Cold War era storytelling from the Polish master simply demands to be on the list. On the surface, the film follows the story of a small town factory worker who buys a small eight millimeter home movie camera to celebrate the birth of his child. But what makes this, and, in fact, all of Kieslowski’s work so brilliant, are the multiple layers that lie just beneath the surface. So while we see the birth of an artistic passion that everyone reading this can likely relate to, we also see the birth of an obsession. To live life both within but simultaneously separated from the world by the barrier of camera and lens can be a blessing and a curse. The little magical box in our hand can allow an outsider to suddenly feel connected to the world around him or her. It can allow us access to worlds we may otherwise have never been invited into. But, alternately, constantly viewing the real world through a rosy eyed prism can also detach us from the very world we were at one time so eager to connect to. It can leave us unable to process images outside of the realm of the our art form. Potentially unable to accept that real life will never be as perfectly composed as those images we create in two dimensions. It can leave us unable to relate to the real people and real emotions that are the fiber of life once the camera is put away. "Girlfriends" tells a universal tale of coming-of-age. Melanie Mayron lights up the screen as a photographer trying to make her way in New York City, learning the ropes of both the business and life itself. When her best friend and roommate decides to get married and move out, the photographer is suddenly thrust into adulthood. The film uses humor and humanity to ask basic questions every artist is forced to face at some point during our journey. How do I turn this passion into a career? Is my life meant to conform to the expectations of others? Or can I write my own tale? Exactly what story is it that my life is meant to tell? "Girlfriends" has often been hailed as a seminal moment in the history of feminist cinema, but it relates universal truths that we all have to face. I think Roger Ebert said it best when he described Buster Keaton’s chronic stoic expression not so much an indication of a lack of emotion, but rather a sign of sheer determination. It’s not that he didn’t notice how unbearably hilarious all the things around him might appear to the world. It’s that his characters were so absolutely wrapped up in the task at hand that they had no time to smile. 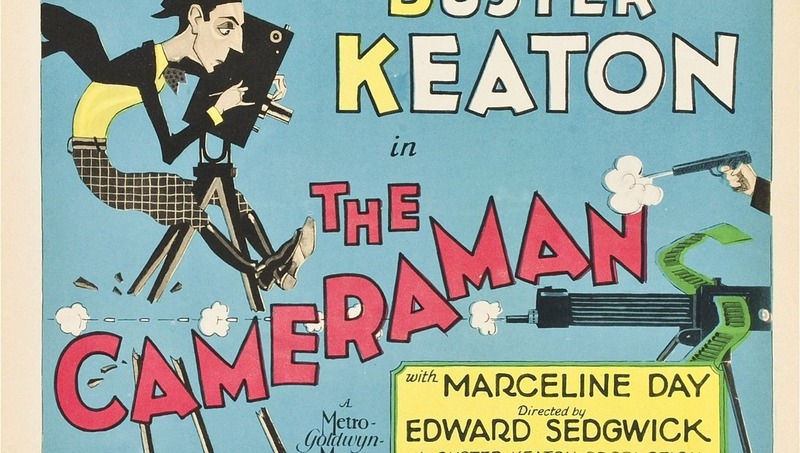 Such is the case with Buster’s great 1928 romantic comedy, "The Cameraman." The first film the formerly independent filmmaker made under his new contract with MGM, it is arguably his best (although I will also accept "The General" or "Steamboat Bill, Jr." as responses to the same question). 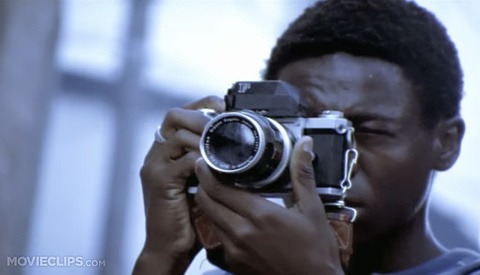 In the film, Buster’s determination comes from a source as straightforward as the tin-type camera he uses to eek out a living on the city streets. He want to gain the love of a woman. But noticing that the particular subject of his desire seems drawn to a decidedly higher class of shooter, our lovelorn hero trades in his camera for the only hand cranked piece of equipment he can afford and sets off to establish himself as a newsreel photographer, hoping to win the woman’s affections. Because this is Buster Keaton, hilarity inevitably ensues. And because it’s Buster Keaton, our hero won’t do a great deal of smiling during his pursuit. But, also because it’s Buster Keaton, you likely won’t stop smiling for the entirety of the films 69 minutes. Raise your hand if you have at one point in your life had a print of the iconic red and white poster of David Hemmings hovering over a beautiful fashion model with camera firmly in hand hanging somewhere in your house. Just me? Okay. Michaelangelo Antonioni’s suspense masterpiece, "Blow-Up," may be THE film most cinephiles think about when asked to name the first photography-centric movie that comes to mind. The iconic scene of David Hemming’s very David Bailey-like British mod photographer turning his passionate shoot of two beautiful models into… well, let’s just say a more cameraless form of passion, inspired both would-be shutterbugs and acne-riddled middle-school lotharios worldwide. But, as is hinted in the films hyphenated title, the film is about more than just a single image. Or, maybe to be more accurate, the film is about what happens when we choose to look deeper. On a textural level, this literally means Hemming’s character looking closer-and-closer into a frame until he begins to see something (or think he see’s something) that couldn’t be easily identified at first glance. For those who have come of age in the digital age, the title refers to him literally blowing up the image, making it bigger and bigger so that he can get a closer and closer look. And like every aspect of life upon closer observation, the truths of what we see become at once both clearer and more grainy (or pixilated). Speaking of things that may be more than meets the eye, there a few films in recent years that have so captured this theme than the 2013 documentary, "Finding Vivian Maier." Now one of the most sought-after collections in the fine art photography world, the body of work of street photographer Vivian Maier not so long ago existed only in the realm of obscurity. Like many a great artist before her, she wouldn’t live to see the success of her work. In fact, most of us would have outlived the knowledge of her talent had it not been for a chance impulse buy at an estate sale and a hobbyist with an eye for photography. True, as an avid thrift shopper, I may have been prone to like this film based on admiration of discount shopping acumen alone. But the story doesn’t end there. Many photographers are likely familiar with Maier’s story. The basic outline at least. The secret photographer. A lifetime spent in the shadows. A sudden discovery. A posthumous legacy in the spotlight. But the real story of Vivian Maier is even more fascinating than her delectable street scenes. Between the bullet points, we are asked questions of identity and fame. Illusion versus reality. And in today’s selfie-obsessed culture where everyone crafts their own persona online, often devoid of any connection to reality, we are asked about the base meaning of truth itself. Some truths simply cannot be denied. The horrors of war have been covered in excess since the advent of the camera. Yet, the horrors of war can still never be covered enough. As much as we may prefer to look away, being a genuine citizen of the world requires us to look into the face of evil and meet it’s gaze with resolve. And while most of us struggle simply to contemplate the extent of man’s inhumanity to man, there are others among us who charge bravely into the breach. They engage the horror. They offer both their body and soul on our behalf to bring back imagery that forces the light onto the segments of our society so often left in the shadows. Few are more dedicated than legendary war photographer, James Nachtwey. And few are more skilled. I make a living using a studio full of lights, professional makeup artists, and hand-picked beautiful people to create memorable images. Nachtwey does it with a handheld SLR, a prime lens, and whatever the sun has to offer. He truly is one of the greatest war photographers of all time. Of course, he may bristle at that definition. Instead, he openly refers to himself as an “anti war” photographer. He sees his images as more than just documents of atrocity. They are a means to an end. The beauty of his images is stunning given the context of the ugliness of the world they often depict. But he knows that if he can create a compelling image, he can get people to look at it. If he can get people to look at the tragedy, he may be able to inspire them to act. If they act, then maybe, just maybe, he can stop the tragedy from repeating itself. He’s not doing it with special filters or Photoshop. No need to add drama that isn’t already there. His only tools are his vision and the faces that fall before his gaze. The sadness of a mother who has lost her child. A starvation victim crawling towards his last chance for nourishment. A fallen child, shattered by the coarseness of an bullet, too young to even understand why the trigger was pulled. Christian Frei’s amazing documentary takes you into his world. Step-by-step. Moment-by-moment. 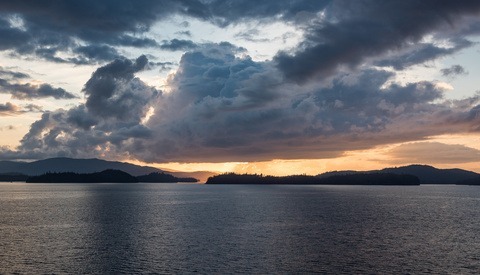 Like the images Nachtwey creates before our eyes, begging for a world where such images would one day be impossible. While "War Photographer" tells its story through a documentary lens, the 2002 thunderbolt "City of God’s" vibrant tale is no less explosive. It follows the story of a young man growing up in Rio de Janeiro’s notorious City of God neighborhood rife with poverty and the crime that often accompanies it. With no escape on the horizon, the story's protagonist, Rocket, instead turns his unavoidable access into a career. The budding photojournalist is met with both the perils and possibilities of his situation. The enigmatic and complex characters that inhabit his surrounds. The multiple layers of society that, like many of the films mentioned earlier, serve to remind us that life is often much more than meets the eye. Okay, just to not leave you on a down note, I’ll throw in one more film for you to watch to put a smile back on your face after you’ve watched a few of the other more dramatic films on the list. Like "Camera Buff," it’s inclusion on the list is a wee bit of a cheat in that while the main subject is based around photography, one could argue that the main star is actually the reluctant model. Of course, when the model is Audrey Hepburn, a woman I have infuriated more than one past girlfriend by referring to illogically but sincerely as “my wife,” I am tempted to make an exception. The photographer in this story is played by the infinitely charming inhabitant of the world’s most graceful dance shoes, Fred Astaire. Playing a very thinly veiled version of legendary fashion photographer Richard Avedon, Astaire’s character plucks Hepburn from willing obscurity to feature in a major fashion spread put together by an equally thinly veiled version of Vogue and Harper’s Bazaar editor-in-chief extraordinaire Diana Vreeland. The film is filled with great music. Great dancing. And enough romance that at it’s conclusion your girlfriend may, just may, forgive you for professing your love for another woman. Albeit a fictional one. So there you have it. MY list for the greatest films about photographers that should be a part of anyone’s Netflix queue. Be sure to catch up on them next time you are in search of inspiration. And, as I’m positive you have a few you think should have made the cut, please do share them below and tell us what they say about the nature of photographers and the art we love so much to create. War Photographer is at the top of my list but I'd add a few. "Which Way is the Front Line from Here?" - biography of Tim Hetherington. A great human, much like Nachtwey, in a profession that makes it hard to stay human. On iTunes. "Restrepo" - if you appreciated the above movie this will give you huge insight into Tim. Documentary he made with Sebastian Junger when they were embedded for 15 months in Afghanistan. On iTunes. "Diary" - again, Tim Hetherington. Sort of a day in the life montage. On Vimeo. "Monk with a Camera" - biography of Nicholas Vreeland. From growing up in high fashion NYC as the grandson of Diana Vreeland to being an abbot of a Tibetan Buddhist monastery. Amazing story with equally amazing images. On Netflix. "Conflict" - series of shorts on specific photographers who deal with areas of conflict from war zones to domestic abuse. On Netflix. "Under Fire" - can't leave out this 80's classic with Nick Nolte as a conflict photographer in Nicaragua. Good list. Restrepo is captivating. Can't look away. This reminds me, I need to buy Rear Window on Blu-Ray. I especially enjoyed that movie when I first watched it because I was also temporarily disabled at the time.